Are you having problems with your coolant temperature gauge which stays on cold? The coolant is always operating at a constant temperature when the engine is hot, to make sure that the engine is as efficient as possible. However, sometimes parts in your car get worn out and stop functioning correctly and it may sometimes be an easy fix or a more expensive one. 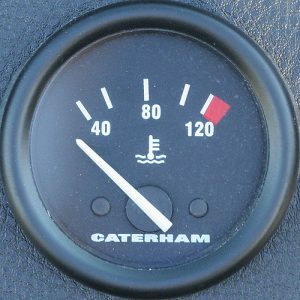 In this article, we will talk about the coolant temperature gauge. What could things cause the temperature gauge to stay on low? First, we have to find out the functions of the temperature gauge, Let’s go! To understand the problem more in-depth, we have to go through the task of the coolant temperature gauge and how it does work. The temperature gauge wirings are a bit different on some car models than others. On older cars, you did usually find a coolant temperature sensor, with two wires up directly to the cluster. This is because there was no engine control unit in the car that used the coolant temperature as information. However, on more modern cars the engine control unit needs the coolant temperature as information to calculate the right fuel-mixture at all different temperatures. This is where you have to understand that wires from the coolant temperature sensor may go to the engine control unit first, which then sends the information to the cluster. There are a lot of different variants of this configuration depending on the car model. Some models like Nissan and other Asian cars use two different coolant temperature sensors, one for the engine control unit and one for the instrument cluster gauge. You can often find temperature sensors with four wires, which both send information directly to the engine control unit and the instrument cluster. Enough talked about the different wires and functions, let’s go to the most common causes of an engine coolant temperature guide which stays on low. There are several causes of why your engine temperature gauge stays on cold. Some causes are more common than the others and we will go through our list with some information under each topic. The next most common problem is a faulty temperature gauge. However, the most temperature gauges are integrated with the instrument cluster on modern cars. In some cases, you can replace the temperature gauge or repair any bad solderings if you find any. In other clusters, you may have to replace the instrument cluster. You can often leave your instrument cluster to an expert for repairing of the soldering if you do not know. As we talked about before, wires are going either from the sensor directly to the cluster, or from the sensor to the engine control unit, and therefore from the engine control unit to the cluster. Check for any broken wires between these components. The best way to find broken wirings is to measure the resistance with a multimeter from all directions of the wires. However, this requires a bit of electronic car knowledge, and you may have to let your mechanic take a look at it. The thermostat is restricting the coolant from flowing through the radiator. If this gets stuck on wide open, the temperature might not reach the optimal temperature. However, this will often make your temperature to go up a bit from the min if you are driving hard enough. If your temperature gauge is going up slowly, you might have a problem with the thermostat. Corrosion in the connectors is also a known problem here. Clean and spray electronic cleaner in the connector at the sensor, at the engine control unit connector and the connector for the cluster. If corrosion appears, there might be a problem with the sealings of the connectors, and you may have to take a look at these to make a permanent repair. Air in the coolant system can also cause the temperature gauge to stays on cold if there is an air bubble right at the sensor spot. This can often be indicated with a fluctuating coolant temperature gauge also. If you suspect air in the coolant system, you have to bleed your coolant system in a unique technique. If you want to learn more about this, you can check out our guide: Coolant Bleeding. In some rare cases, there could be a problem with your engine control unit if the temperature information first is received to the ECM, which therefore sends the data to the cluster. If this is the case, you have to check the trouble codes with an OBD2 scanner in the engine control unit to see if the engine control unit receives the temperature information. If you can find the temperature readings in the engine control unit, but not at the cluster. You have to make sure that these components are using the same sensor. If this is the case, you have to measure the temperature output on the engine control unit. To do this, I do recommend to let a car electronics expert do the job for you. You do not want to replace the engine control unit if it’s not a problem with it, because they’re often costly and requires coding. 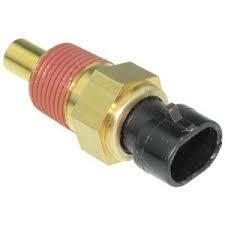 The most common causes of a coolant temperature gauge which stays on cold are the coolant temperature sensor itself. It’s recommended to check this component first. If you have more questions about this topic, you are welcome to leave a comment down below, and I will try to answer your questions as fast as possible.